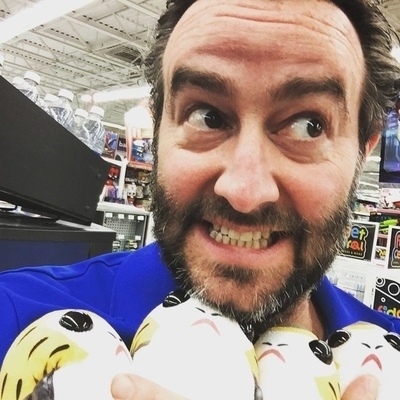 Sure, that’s a picture of me with four porgs. (Only one of them is for me.) Somehow, I managed to not say the word “porg” again in the podcast today. 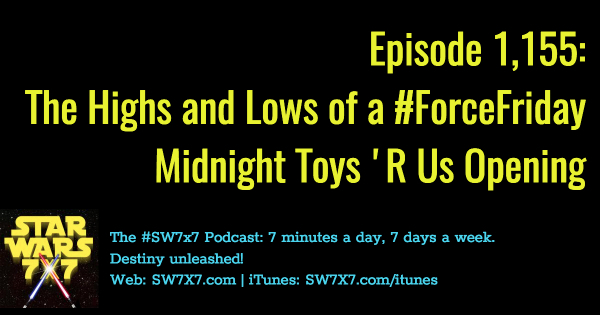 What I do talk about, though, is the experience of being there at a Toys ‘R Us before midnight on #ForceFriday, the day that new Star Wars: The Last Jedi toys are going to release – which also means that we’re usually, USUALLY (though not so much this time) going to get new information about the characters, their relationships to each other, the vehicles, and maybe even some of the action or the plot. Previous Post: Episode 1,154: Why We Didn’t Get an August Trailer for The Last Jedi, and What’s Next?